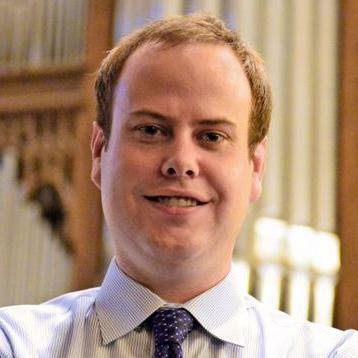 A native of Fayetteville, Arkansas, Graham Schultz currently serves as Assistant Organist at the Church of the Incarnation in Dallas, Texas. He holds the Bachelor of Music degree in organ performance from the Cleveland Institute of Music. While in Cleveland, he was Organist and Choirmaster of St. James, E. 55th where he oversaw a professional music program in the Anglo-Catholic tradition. Prior to studying in Cleveland, Mr. Schultz attended the Interlochen Arts Academy in northern Michigan where, upon graduation, he was awarded the Fine Arts Award in Organ Performance. From 2010 to 2013 Mr. Schultz was the Lloyd Cast Organ Fellow at the Cathedral of All Saints in Albany, NY where he served as the principal organist and assisted in overseeing the nation’s oldest continuously-performing Choir of Men and Boys. He has served as an accompanist for multiple choral residencies in Britain including at the Cathedrals of Durham, Gloucester, Hereford, Rochester, and St. Patrick’s, Dublin. Most recently he accompanied the Incarnation Choir on their 2014 tour to Washington National Cathedral, St. Thomas Fifth Avenue, and the Cathedral of St. John the Divine. Mr. Schultz has been heard on American Public Media’s Pipedreams and on national broadcasts of With Heart and Voice. In 2015, Mr. Schultz was awarded the Associateship Certificate by the American Guild of Organists. His teachers have included Thomas Bara, Charles Rigsby, and Todd Wilson. Mr. Schultz currently serves as a Regional Councilor for the Association of Anglican Musicians.